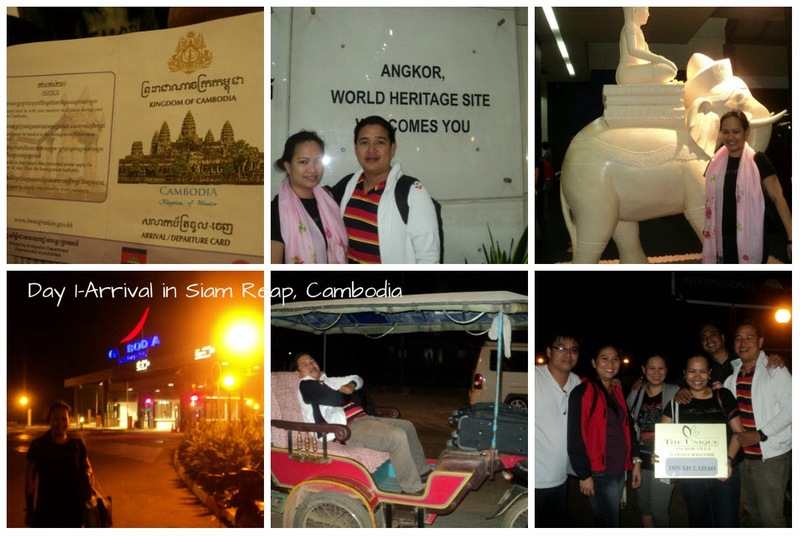 Day 1: Arrival in Siam Reap, Cambodia | To Be, To Be. Tutubi. So I am finally going to write in detail about that 6-day visit to Cambodia and Vietnam last February 2014 with the Superfriends. It has been long overdue, and I haven't even written about the first time I went there with my office mates back in 2012. So anyway, we bought the tickets during the Cebu Pacific Piso Sale for the February 2014 travel early in 2013. Then we bought our hotel accommodations thru Agoda some months before so we only had to budget for food, inland travels and souvenirs. So on our Day 1, we arrived at around 10pm and our hotel accommodation came with a free hotel transfer. We were brought to The Unique Angkor Villa by two tuktuks. And then we turned in, eager for an early day at the temples. We opted not to wake up early to see the sunrise because, hey, the sunrise in the Philippines are much more beautiful, hahaha!